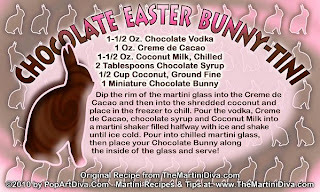 Easter Cocktails - Drink Your Chocolate Bunny this year! Quit eating the ears of your poor little Chocolate Easter Bunny! Shake him up in an Easter Martini instead!